In the year of 1995, game music composers often came up with interesting soundtracks. The late era of the Super Nintendo offered many high profile games and back in the day this also involved legendary music. Every month had a few highlights, from Chrono Trigger to Tactics Ogre; even Donkey Kong Country 2 captivated us in that year. Among the impressive number of milestones we also got the work of Akihiko Mori, a Mint employee who sadly passed away from cancer in 1997. With a rather short career span, this composer built himself a reputation like few others, mostly due to what many consider his prime work: Mystic Ark. Mystic Ark was a quirky RPG by Enix and the spiritual successor of The 7th Saga. Many of us were first able to play this in 2009 when two (!) fan translation groups supplied their patches almost simultaneously — after a decade of work. Nevertheless, game music enthusiasts may have heard of this game before and that’s due to Akihiko Mori’s beautiful soundtrack. Like with most semi-major RPGs, Mystic Ark‘s soundtrack consists of two discs, 57 tracks, and a running time of roughly 130 minutes. This includes all original music from the game plus 6 arrange tracks. These arrangements were put right at the beginning of disc 1 — a rather unusual step, but still alright considering the arrangements aren’t really the highlight of the soundtrack. 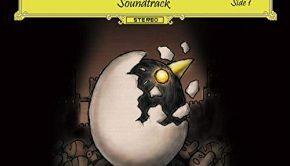 In what seems to be a selection by the composer, these are interpretations of six of the most memorable tracks from the game, including the world map theme, the battle theme, and more. To be honest, though, from today’s perspective, the arrangements are nothing out of the ordinary. The synth basically sounds like that from the PS2 and, while it is an improvement over the source music, it also lacks the nostalgic soundchip of the SNES. Still, back in the day, it must’ve been an interesting approach as there was no PlayStation yet and arranged albums usually featured real instruments, not just improved synth. Thankfully, the six tracks offer more than just improved synth and they also feature a few surprises. For example, the battle theme “Your Eyes are Beautiful While You Fight” continues with a guitar solo and “Shall we dance?” moves into the melody of the ending theme. It’s definitely recommended to give those tracks a listen after you’ve become familiar with the rest. The real soundtrack starts at track 7 with the opening theme “Mystic Ark” and sets the right mood for what is to come. From now on, we get music by the standard RPG-formula: map themes, dungeon themes, battle themes, etc., albeit with very creative names. “Chikaza, the Mother of God” and “Let’s Go on an Adventure! !”, previously arranged, now work pretty well in context; the latter is especially good as a typically majestic field theme. The soundtrack largely follows a logical pattern: the story of the game. As a result, what follows are the themes of the rivaling pirate crews in the first game world. The Bloodhook theme comes with a militaristic vibe, given they’re in a war after all. Opposed to that, Gunboss theme is more jazzy. The true highlight of the soundtrack, however, are the battle themes. Their structure gives the relatively simple battles in the game different forms of tension, which was quite an accomplishment for the SNES era. Tracks such as “Hey, We’re Fighting!” or “I’m Gaining Strength, I’ll Take you on!” are incredibly well composed. I think Mori’s flair is best noticeable in “When You’re Off, Get Some Sun Outside”, an especially fast-paced, sweeping battle theme. The regular and most famous one can be found at the end of Disc Two, by the way: “Your Eyes are Beautiful While You Fight”. This, along with a few other key tracks, are kind of hidden on this disc. What else can you find on this soundtrack? Akihiko Mori used many techniques to make the score memorable. Among them is a recurring motif first heard in “Chikaza, the Mother of God”, sung by a female (synth) choir. It is later revisited with a music box version and briefly heard at the end of the game. There are also some more unusual themes, like a waltz reminiscent of the one from Final Fantasy VIII, a funky track called “Techno House”, and, of course, various sound effects. The soundtrack maintains a high quality from Disc One to Disc Two, but, at the end, it raises the bar. There is an epic final battle theme (that’s just a little too short) and there is an 8 minute long ending theme so emotional that I have never been able to hit “pause” while listening to it. A great way to end the soundtrack. To sum it up, Mystic Ark is a milestone of video game music. I once read an interview where a game music composer stated that ambient music works much better within a game because it’s not distracting the players. In that regard, Mystic Ark fails completely, because every track is so memorable it could be the main theme of another game. The only “filler tracks” are those 8 second long sound effects scattered on every disc. Sadly you hear most of the melodies only once, which makes some of the soundtrack’s potential go to waste. It’s a little depressing thinking where Akihiko Mori would be now, had he been able to continue composing game music. After all, he was just beginning his career, yet had already worked on major Japan-exclusive projects like Wonder Project J or Gokinjo Bouken Tai and worked together with people like Kohei Tanaka. As far as Mystic Ark goes, unfortunately it is very difficult to purchase the CD nowadays, since it has become a collector’s item among those familiar with the game. It can regularly be found at Yahoo Japan Auctions for unreasonable amounts of Yen, though others stick to listening to the sound source directly from the game. Since the release of fan translations, the game has gained quite a fanbase. 15 years after its release, the name Akihiko Mori is still associated with the golden era of game music — a time when composers still had technical limitations to use to their advantage and RPG soundtracks just couldn’t fit on a single disc. Posted on August 1, 2012 by Marcel Neumann. Last modified on August 1, 2012.